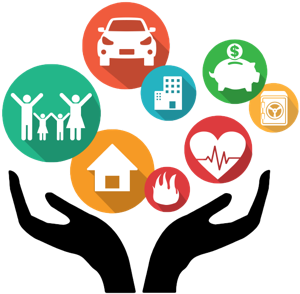 Microinsurance is the protection of low-income people (those living on between approximately $1 and $4 per day (below $4)) against specific perils in exchange for regular premium payment proportionate to the likelihood and cost of the risks involved. What is micro health insurance? Health micro-insurance – referred by different names such as community-based health insurance, micro-health insurance, mutual health insurance, community-based health financing, community health insurance etc -is a form of micro-insurance in which resources are pooled to mitigate health risks and cover health care services in full or in part. Health micro-insurance schemes are more complex in nature compared to life insurance schemes, as they provide services towards specific risks or illnesses and involve the role a health care provider, whether independent of or in partnership with the scheme. The scheme can be provided by government, a private insurance company, an NGO or a CBO. Micro-leasing is a contractual agreement between two parties, which allows one party (the lessee) to use an asset owned by the other (the lessor) in exchange for specified periodic payments. What is micro pension scheme? Invest India Micro Pension Services (IIMPS) is the only social enterprise in the world focused exclusively on encouraging and enabling low income informal sector workers to accumulate micro-savings for their old age.